Mystery of GIANTS -  An epic journey of new discovery so fantastic that our natural instinct would be to block it out. GENESIS 6:4 ...."There were giants in the earth in those days; and also after that, when the sons of God came in unto the daughters of men, and they bare children to them, the same became mighty men which were of old, men of renown." Here’s one for your "Forbidden Archaeology" file. Scientists are remaining stubbornly silent about a lost race of giants found in burial mounds near Lake Delavan, Wisconsin, in May 1912. The dig site at Lake Delavan was overseen by Beloit College and it included more than 200 effigy mounds that proved to be classic examples of 8th century Woodland Culture. But the enormous size of the skeletons and elongated skulls found in May 1912 did not fit very neatly into anyone’s concept of a textbook standard. They were enormous. These were not average human beings. In 2002, National Geographic reported a dozen Cyclops skeletons found in Greece that stood 12-15 1/2 Ft tall. That is 3 humans tall. ​One eye socket. Giants in history are typically cannibalistic in nature. The reason why I am bringing up giants will all tie into politics, and word happenings. Look at a basketball hoop and add 5 feet. That tall. Greek Mythology talks about war with cyclops learning they had to bring down by taking out their legs rendering them slow and helpless. American Giants (Red Hair Giants) where found with egyptian writing on their tombs have been found in multiple locations. On 10 August 1891, the New York Times reported that scientists from the Smithsonian Institutionhad discovered several large "pyramidal monuments" on Lake Mills, near Madison, Wisconsin. "Madison was in ancient days the centre of a teeming population numbering not less than 200,000," the Times said. The excavators found an elaborate system of defensive works which they named Fort Aztalan. Discovery of vast prehistoric works built by Giants? Giants - Myth or Reality? Did Ancient Biotech Create "Nephilim"? Will Modern Science Bring Them Again? 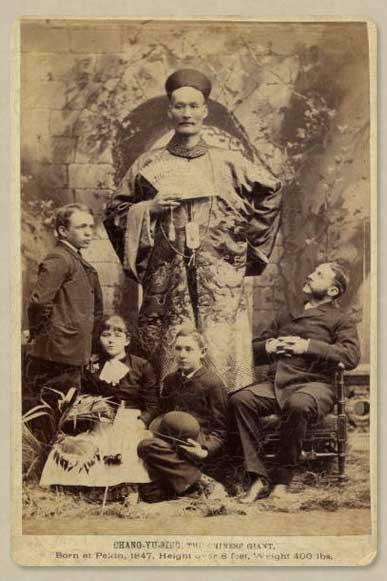 STORY: Fossilized Irish Giant, Photo Taken At A London Rail Depot In 1895...The Man Had Stood 12 Feet 2 Inches. Evolutionists have attempted to call this a hoax but have yet to prove that it is. The specimen has since disappeared. Big Ancient SkullsI am intrigued by the dozens and dozens of stories and supposed photographs of giant skulls discovered around the world. The problem is that many photos are hoaxes and the stories are generally not supported by true traceable sources or actual skulls to evaluate. In 1879, a burial mound in Brewersville, Indiana yielded another giant skeleton, according to the November, 1975 edition of The Indianapolis News. This one reached 9 feet 8 inches tall! It wore a necklace of mica stone, and a crude human effigy of clay was found standing at his feet. The giant skeleton was examined by scientists from Indiana and New York, and it remained in the possession of Mr. Robinson, who owned the land on which the mound stood. Unfortunately, the curious bones were washed away in a flood in 1937. The December 17, 1891 issue of the respected journal Nature reported the discovery of a giant man buried 14 feet within the center of one of Ohio’s mysterious burial mounds. The enormous man’s arms, jaw, arms, chest and stomach were all clad in copper. Wooden antlers, also covered with copper, rested on either side of his head. His mouth was filled with large pearls, and a pearl-studded necklace of bear teeth hung around his neck. Who this man was, or to which race of people he belonged, is unknown. In 1911, miners were digging out layers of guano from a cave located about 22 miles southwest of Lovelock, Nevada when they happened upon the mummified remains of an individual who must have stood 6½ feet tall when alive. A tall Native American, perhaps? Probably not, since the mummy was still crowned with “distinctly red” hair. Amazingly, the ancient legends of the local Paiute Indians described a race of red-haired giants – called Si-te-cahs – who were the enemies of many Indian tribes of the region.